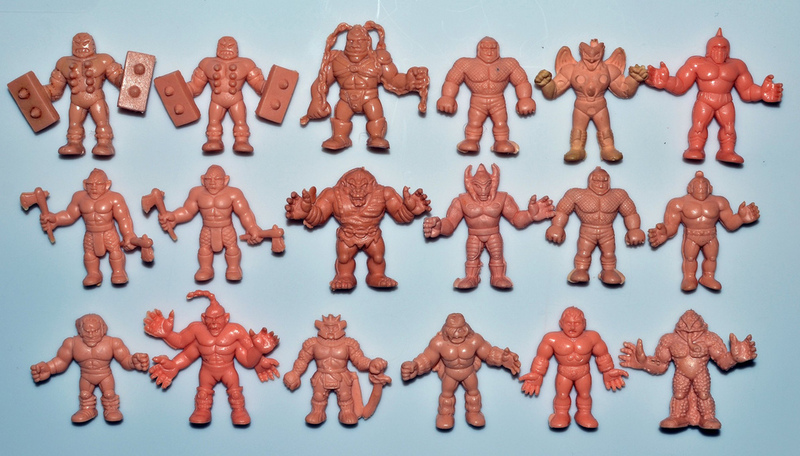 What: Knockoffs of sculpts from the M.U.S.C.L.E./Kinkeshi/Kinnikuman line of mini figures. 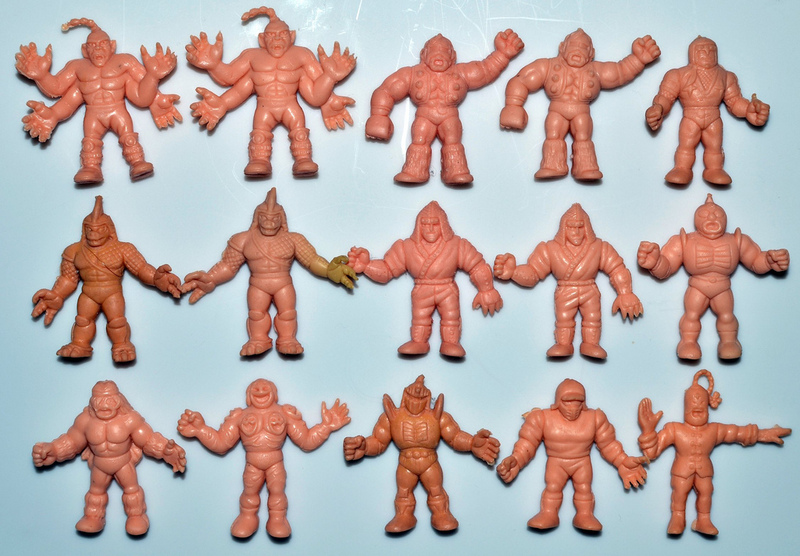 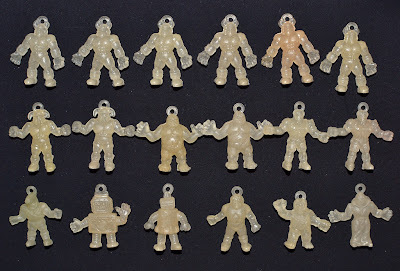 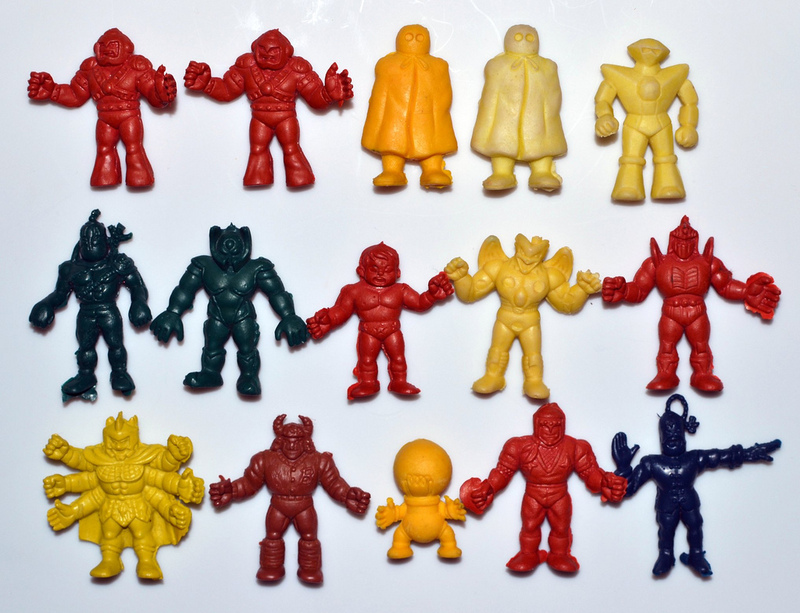 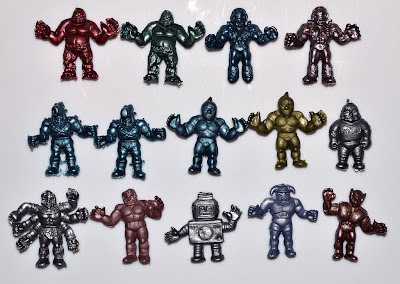 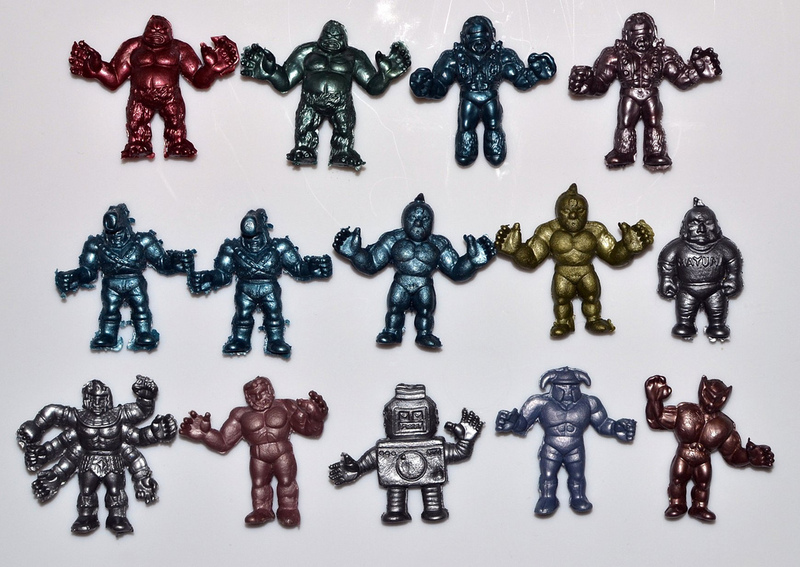 Bootlegs were produced in a wide variety of colors (including peach/flesh--similar to actual M.U.S.C.L.E.-- plus pearlized, translucent, metallic and more) and materials (from hard plastic to soft rubber). 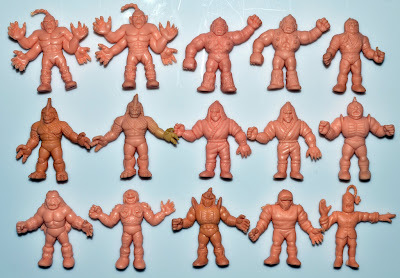 in Brazil still have bootlegs for this toys for sale.